Warning – Is the push to guage teacher worth by testing his/her Spelling too simplistic? I am not opposed to the assessment of a teacher’s skill base – but in the case of ‘spelling’ I have serious doubts. 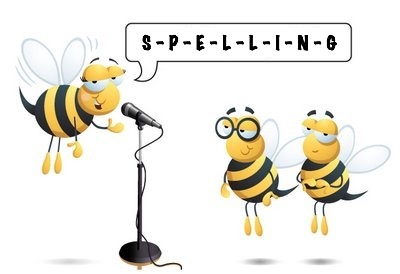 There is a matter regarding the teaching of spelling that is seldom discussed – no doubt due to the difficulty of putting it into words :), however, I’m going to give it a shot. There are naturally great spellers. They have exceptional visual memory capacity and simply visualise words and reproduce them in written form (exceptional visual recall). Now this does indeed mean that they are excellent ‘spellers’, but does that mean they will be excellent teachers of spelling? Actually in the majority of cases it’s quite the contrary. They may have an unrealistic expectation that all students can do what they do. They have not practised any other techniques simply because they haven’t had to. They have no appreciation of the difficulties encountered by students with a limited visual processing capacity and therefore are bereft of ways to assist them apart from ‘look cover write check’ which falls well short of ‘cutting it’ for the students in need. Compare this with the teacher who is not a naturally a ‘good speller’, with low visual processing capacity, but has been fortunate in having a teacher well equipped to teach the structure of words – and the morphology. This teacher may still use a dictionary to ensure her own spelling is correct. She is assured of finding the word she requires because she has developed excellent dictionary skills. She is well versed on the pitfalls of certain word structures and the grammar aspects that will assist her students to ‘spell well’. Compare this yet again with a teacher who was herself denied the expertise of Example 2 teaching. She is not a naturally good speller and has learned few of the skills of spelling or grammar. Of course she will struggle in the classroom. It’s not easy for such a teacher to survive when she is frequently embarrassed by a student correcting her in class, or worse, having a parent chastise her of giving out notices with an errors in them. This teacher has to work hard at double checking everything she does (or have other’s run an eye over it). Her planning has to include a word list she needs for a particular lesson. She has none of the knowledge she requires to do what the Example 2 teacher is doing. Her own teacher training reassured her that it didn’t matter (as reflected in the article that engendered this response academics who argue that you don’t have to be able to spell to teach spelling). She has poor dictionary skills and may not even know about alternate sounds (ou/ow, au/aw, ee/ea/ei/ie or a split spelling e_e as in ‘adhere’. Her dilemma is not of her own making. Personality wise, she was born to teach. What a travesty of equal opportunity in education. Which example teacher above is best equipped to teach spelling? Which teacher will excel in a spelling test? Which teacher will be disadvantaged when deprived of a dictionary? Which teacher will be disadvantaged regardless of having a dictionary available? A simple spelling test will NOT identify who is best equipped to teach spelling. A spelling test with a dictionary available may give a better indication. What happened to quality education? Why boys struggle ... and ... Why it doesn't have to happen. Sam struggled to get off the ground in learning to read. Eve was doing fine till she was in the last term of Grade 4. What happened?